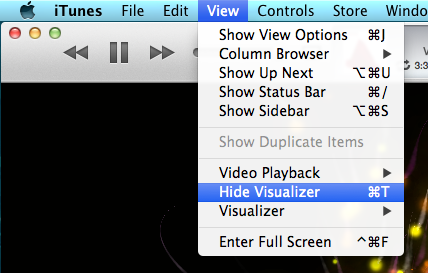 I have never seen a practical purpose for an audio visualizer. Even back in the day when I saw my first one while using Windows Media Player, I didn’t see the point. I’ll be honest, that hasn’t changed one bit. But that does not take away from my surprise (and joy?) at discovering that the iTunes player has one. Since I didn’t know, I figured you might not know either. Will I use it? Probably not. Will you use it? I doubt it. But who cares, it’s just fun to know about, like back in 1999 when you saw one for the first time. 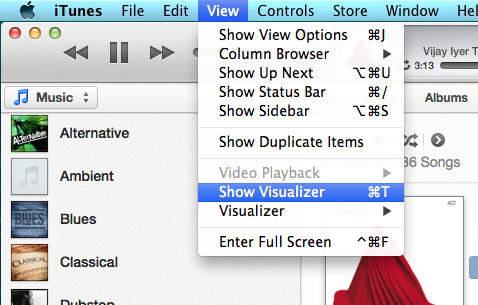 First you need to use the View menu to show the visualizer. 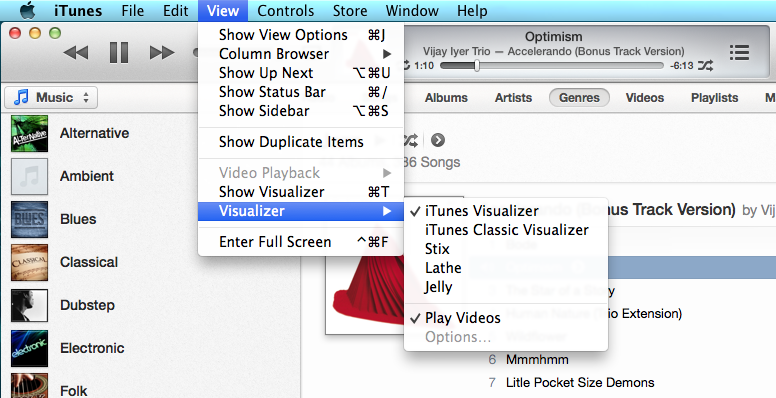 Then you get to choose the type of visualizer. Some are more nostalgic than others. Then you get to see cool things like this. 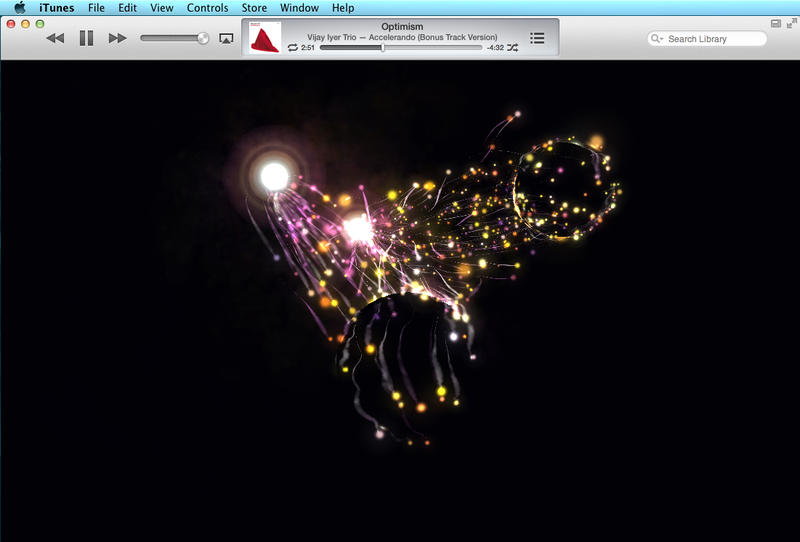 Then after 58 seconds, or so, of visualizer you get bored (if you’re young) or get a headache (if you’re older) and decide it is time to hide the visualizer. While visiting my family in New York this summer, we to a trip to Manhattan’s theater district to see Newsies, the Musical. The movie version was a favorite of mine and my siblings when we were kids, so going together as a family was a nostalgic and meaningful experience. I do not regularly visit the theater, but I often have such a full, enjoyable time when I am there. This time around I was really thinking about what makes live theater so full of emotion and excitement. With video entertainment so ubiquitous in our lives – quite literally in our pockets – what is it that keeps live theater alive and successful? There is a power to a live performance, any live performance, that is not present on a video screen. Even video recordings of live performances lose that certain edge, as the audience knows there is the possibility of editing and polishing. On stage, there are no second takes. Mistakes are possible – almost inevitable – and the most skilled performers learn to react and move forward. This is one of the best lessons I learned from my early music training. If you make a mistake on stage, just roll with it. Don’t make it obvious to the audience, because you are probably the only one who noticed. When I really started to think about the fact that there is no editing of material for the show, and that these performers have to be perfect night after night with acting, singing, dancing, moving of sets, and music from the pit, I was just in awe of everyone’s talent and expertise. Considering this element of the show forged a connection to the cast and crew, one that is usually subconscious for theater goers. During intermission, I walked down to the stage because I always love to peek into the pit to the see the musical equipment and the people who are so essential to the performance and are never seen by the audience. When I looked back up at the second floor of the theater, I saw several black and white video screens mounted along the front of the balcony. There was an usher standing with me, so I asked her what those were for. “They are so the actors can see the conductor,” she said. Now, I could see where the camera was pointed. Brilliant! While connecting with the audience, the actors can still see the conductor for cues and tempo. So there is some modern technology that is useful to this oldest of forms of entertainment! I began to reflect more on this issue of technology being used to enhance a Broadway show. The music from the pit was mic-ed and projected through large speakers to the audience. I know this is nothing new, but think about how much that impacts the experience of the audience. The sound quality was excellent, and people in every seat in the audience could hear every instrument. Much of the backdrops were projected, rather than constructed. I imaging this would be less expensive and less labor intensive. Also, this musical did include a use of technology that I have never seen before. There are several scenes where someone climbs up a ladder to write on a giant chalkboard for the price of newspapers. Rather than having the actor write, the action paused and the words would write themselves across the board, which was some type of animated screen. It was an interesting way to use the technology in the show. I was afraid that using more digital technology would take away from the theater experience, but it did not. The audience comes to see a great performance, whether or not it includes technology, and all of the people involved are the ones who create that wonderful performance that touches the hearts and minds of everyone in the audience. 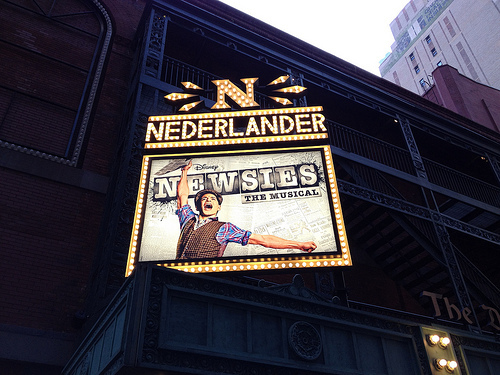 More than any other trip to Broadway I felt surges of emotion throughout the show. I don’t know if it was because I was so appreciative of the talents of everyone involved, or the way the songs tapped into warm childhood memories, or the collective feelings of the live performance, or a combination of everything. Regardless of why, the swaying of overwhelming joy and excitement that I felt was something I could not have experienced in front of any screen. I suppose this is why so many talented actors are drawn to the theater and why audiences fill Broadway theaters every day of the week. Fascinating exploration of fire ant colonies, how they have spread through the American South, and the impact of intense efforts by people to destroy them. A worthy read for musicians and music fans. Insights into life on the road for your average touring band, making a living in rock clubs around the US. The author has developed an elaborate theory involving all Pixar films, where the characters exist in a the same universe, but at different times, and are part of one large narrative and theme. A thought-provoking read for fans of the animated movie company. The first time I saw SoundCloud a few year ago, I was blown away. Comments embedded in the music. 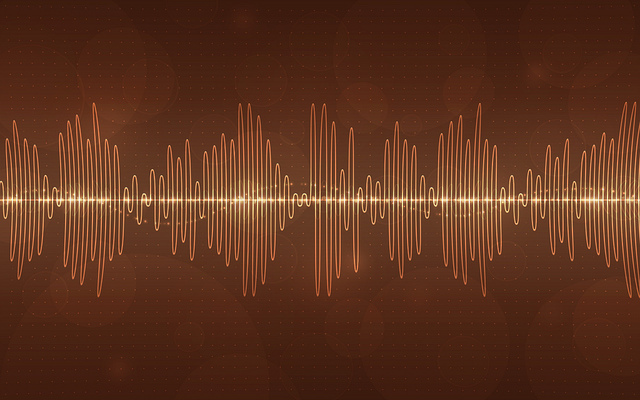 Actually seeing the sound waves – the core of what sound is – displayed on the screen, normally hidden and forgotten about. It seemed like an audiophile’s dream. Although it did start with indie musicians, it has been gaining traction beyond that world. Lately, I have thought of it as the YouTube of audio, and I am sure I’m not the first one to use that phrase. In reality, it may be more like Vimeo, the premium video service, used by many filmmakers and other video professionals. Unlike YouTube, Vimeo and SoundCloud put substantial limits on uploads for free accounts, encouraging professional creators to upgrade to a paid account. In both cases, I think it is worth the cost. In a world saturated with visual media, why would anyone, viewer or creator, choose audio over video? Music is the obvious frontrunner here. It has been the bread and butter of SoundCloud and will continue to be. Even after the internet resurrected the music video (thank you! 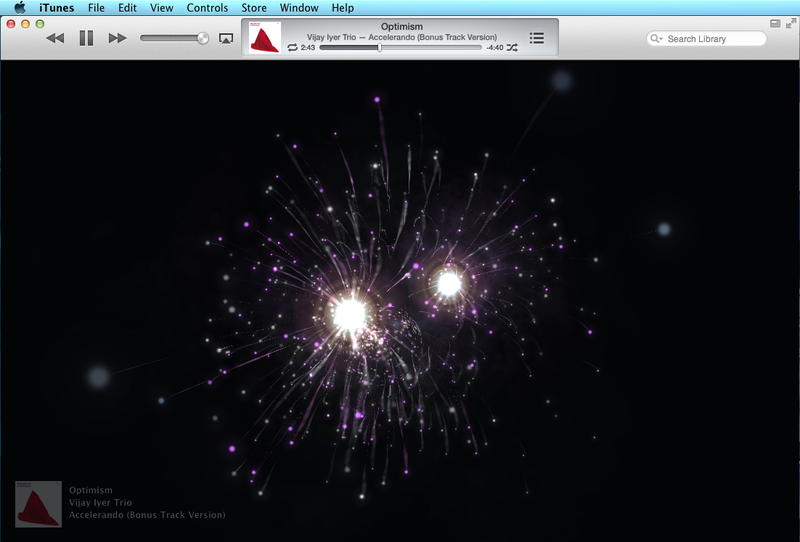 ), music is still essentially an audio-based art. Radio news is still prevalent, whether you are an NPR enthusiast or a talk radio junkie. SoundCloud and other internet services allow radio programs to expand their audience. News reporters create content for print, website, video, and radio, but posting reports and reflections about news events directly online to something like SoundCloud offers certain advantages. This could be more convenient for reporters who are looking to get information or interviews out to the public in a fast way. You can record a conversation and upload it directly to SoundCloud to make it accessible to listeners with limited editing. Podcasts are another purely audio-based form of media. I have used different apps to subscribe to and listen to podcasts, but they were purely for consumption. What is brilliant about putting podcasts on SoundCloud, as the show RadioLab and others do, is that it transforms listening into an interactive experience. While listening, you can view comments and post you own questions and comments at specific points throughout the show. Naturally, SoundCloud has this same effective on everything that is uploaded to the site. I have provide my own perspective on why audio online is important. What other reasons do you see for its popularity? What makes it better and more useful (or not) than video? What other uses for online audio can you think of?